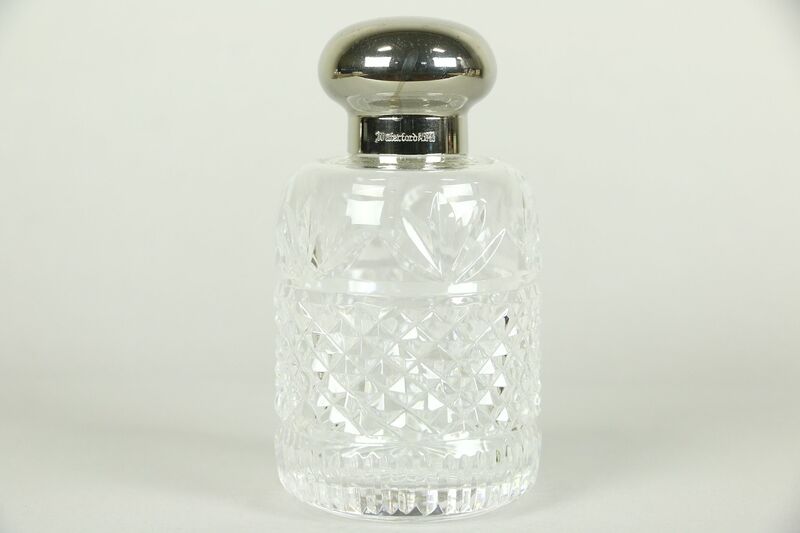 Signed by famous Irish crystal maker, "Waterford," this scent or cologne bottle has a silver plate cap and fitted glass stopper. There are minor scratches, see photos. Size is 2 3/4" diameter and 5" tall. Similar bottles sold separately, call or email for availability.